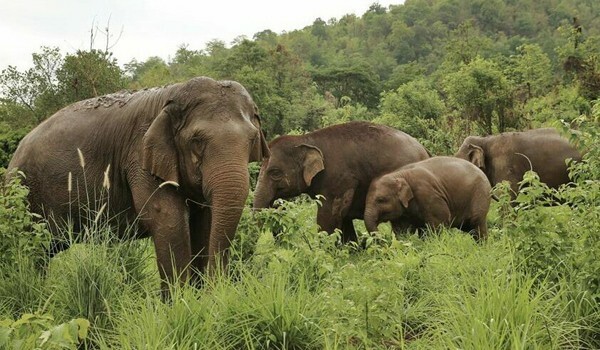 Faa Mai family inspect the new land of Elephant Nature Park. After we purchase the new land, it take us for while to plant the food and prepare the land for a couple months, now the grass are ready for our herd. 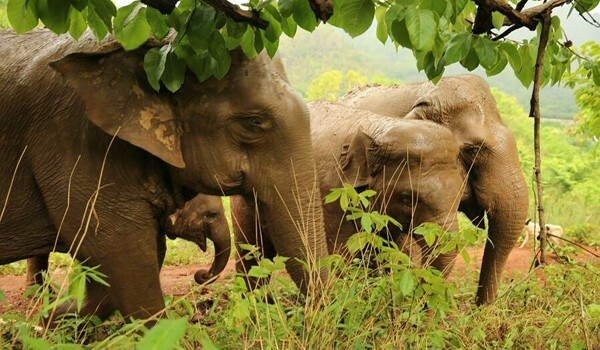 Mae Perm and Jokia spend time every day foraging in this new land. 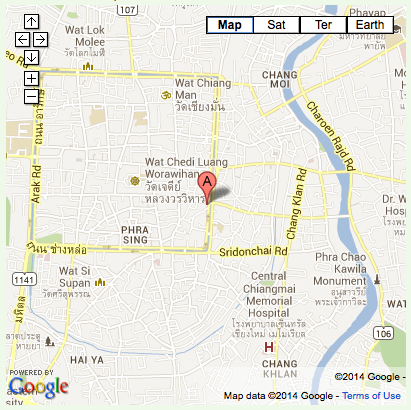 Today is time for Faa Mai family. 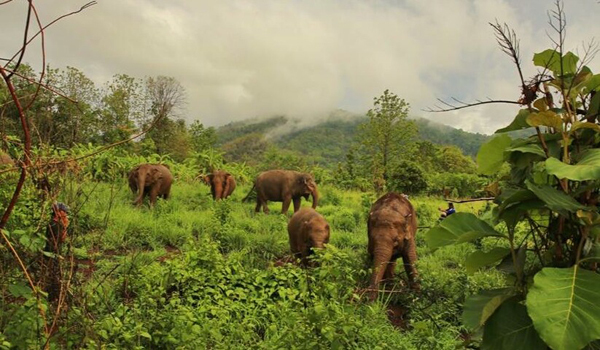 We hiking them and introduce them to the new greenfield. I can see how excited they are. Thanks to all of your kind support to help us to have this place . 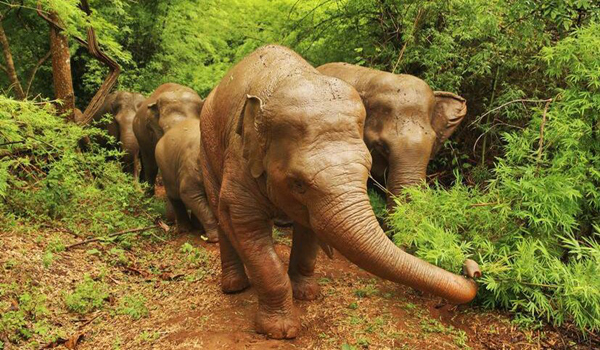 The elephant look so beautiful when they are at their natural home, especially they have plenty green nutrition. “All I need is playing” Navann wants to tell us when he refuse to have a new blanket. 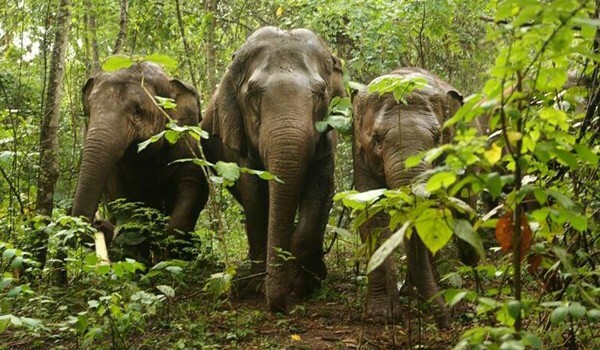 The two elephants, MeBai and Mae Yui update story. 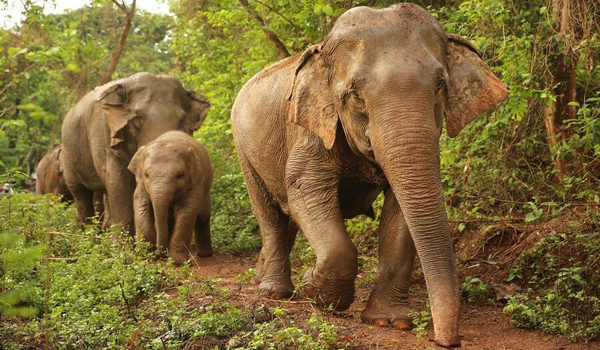 previous post: Our elephants herd love to take a mud bath under the falling rain.